After more than a half century of attending Sacrament Meeting, I am loathe to admit that only a handful have left a lasting impression.Two of these gems are directly related to music. Not some grandiloquent string concerto or beautiful choir number, rather both memorable experiences stemmed from simple songs that touched my heart because of their simplicity.One such memorable meeting I wrote about during the Christmas season. I was reminded of this second experience as we heard A Child’s Prayer at Stake Conference. It was a typical challenging Sunday with five diverse teenagers. The girls were all mad at each other and I was struggling to keep the boys from egging their sisters on in their drama. For some strange reason, I assumed attending church would be easier once the kids got older. I was wrong. 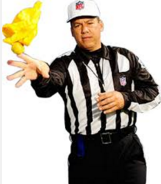 While I was refereeing my unruly brood, my attention to the meeting had waned. Then, out of nowhere I heard a handful of children’s voices singing A Child’s Prayer. When I looked towards the podium, I saw the young Roberts family singing this meeting’s special musical number. Instantly, my concerns about my squirrelly children melted away as I allowed the simple yet powerful words of this familiar song distill upon my heart. Now, if you were God, how would you help this inquisitive child develop faith in your existence? Should you appear in a dream? Perhaps an audible voice would confirm to this child that you really are there. In my opinion, such a response would not likely have as great an impact as would a dump truck. A dump truck? Let me explain. Andrew and Nancy were teaching their young family about prayer during a recent family night. 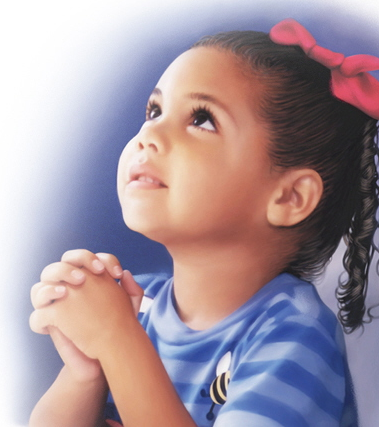 In the middle of that lesson, three year-old Benjamin started praying. 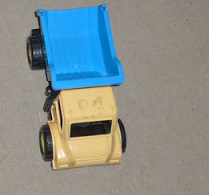 And thank you for my dump truck, even though I don’t really like it, I do like the blue part on the back, but I don’t like the yellow part on the front. I prayed for you to change it but it’s still just the way it was. But I like it anyway, I guess. The family struggled not to laugh at the hilarity of this prayer. Poor Benjamin had been asking God for some time to improve his dump truck. Two days later, a neighbor knocked on the door. She explained to Nancy that they had an extra brand-new dump truck and wondered if Benjamin would want it. Stunned by this question, so soon after Benjamin’s prayer, Nancy accepted this kind offer. 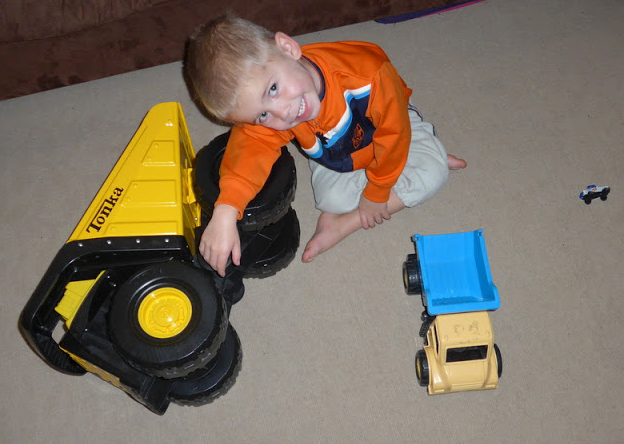 The next thing you know, Benjamin is the proud owner of a beautiful yellow dump truck — exactly what he had prayed for. 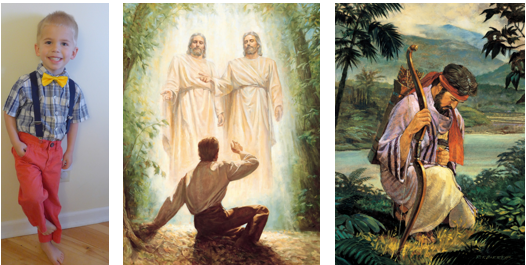 Little Benjamin, young Joseph Smith, and Enos, preparing to be a prophet, all learned that God will do all He can to help all His children to be happy.